All you need is a pumpkin! Preheat the oven to 375°. Line a baking sheet with aluminum foil. Cut off the pumpkin top right by the stem. Scoop out all the seeds and stringy, gooey stuff. 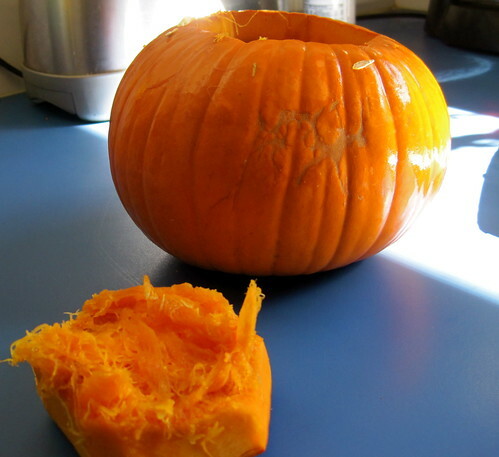 Now cut the pumpkin into quarters. Put the pumpkin on the baking sheet, cut side down. 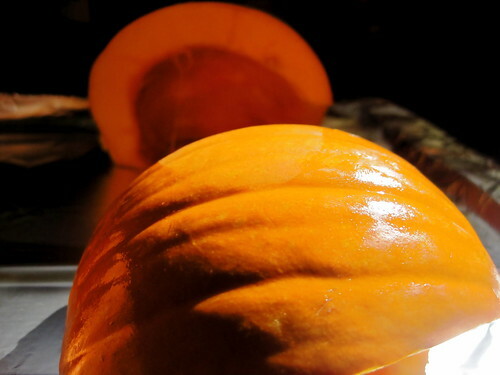 Bake until a fork goes into the pumpkin easily, about 45-60 minutes. 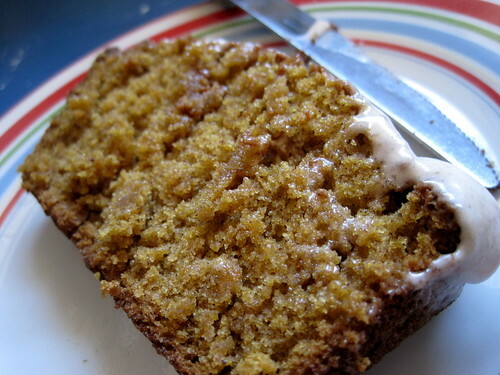 Remove the pumpkin from the oven and let it cool completely. Remove the skin. 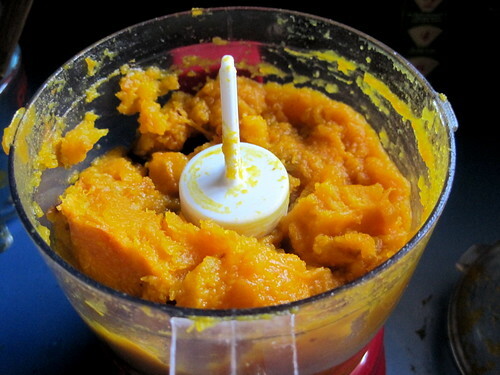 Place the pumpkin into a blender or food processor and puree it. That’s all! Make the bread. Preheat your oven to 350°. Cream together the oil and sugars in a large bowl. Add the eggs one at a time. Mix in the pumpkin puree. In a medium bowl mix together all the dry ingredients (that’s allspice through flour). Add the dry ingredients to the creamed mixture alternately with the cold water. 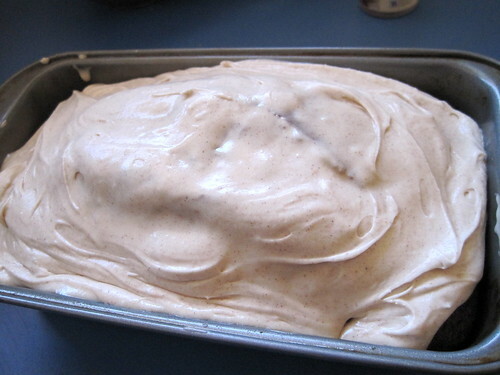 Bake in two greased loaf pans for 45-55 minutes. Cool completely before icing. Make the icing. Cream butter until light and fluffy. Add the cream cheese and beat for another 2 minutes. Add the cinnamon, and gradually add the powdered sugar one cup at a time. Add the milk and more powdered sugar (if needed) until you get your desired consistency. That bread looks lovely! Good for you for making your own puree… Isn’t the taste just so much better than the canned stuff? Thanks! The puree tasted so much better than out of the can. I’m never going back. In fact I may make a bunch while I can get pumpkins and freeze it!